The news podcast for North Durham. 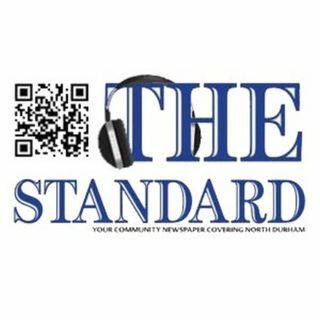 The Standard News Podcast April 18th "River street...bridge...Uxbridge not to rename...St. Pierre...Editorial..."
The Standard News Podcast April 11, 2019 "Paramedic chief...dog park...ohl draft...the ones we love"
The Standard News Podcast March 28th "O'Toole on Budget...Footprints closing...Family cooking...Lunar Rythmn Gardens CSA..."
The Standard News Podcast March 14th, 2019 "Honouring Women...Culvert...Homelessness...Tigers...Artwork..." The Standard News Podcast March 7th, 2019 "Farms... Erin O'Toole... RMH...Tina Y. Gerber." The Standard News Podcast February 28th, 2019 "World Day of Pr...Ux Police Office...Mojacks Bruins." The Standard Podcast February 21, 2019 "Scugog Budget...Hospice...Human Touch...Hockey Philanthr..."
The Standard Podcast February 14th, 2019 "Best Selling Author...Scugog Budget...Bruins...Mojacks..."